Castle Crashers Remastered will arrive on Nintendo Switch and PlayStation 4 this summer. 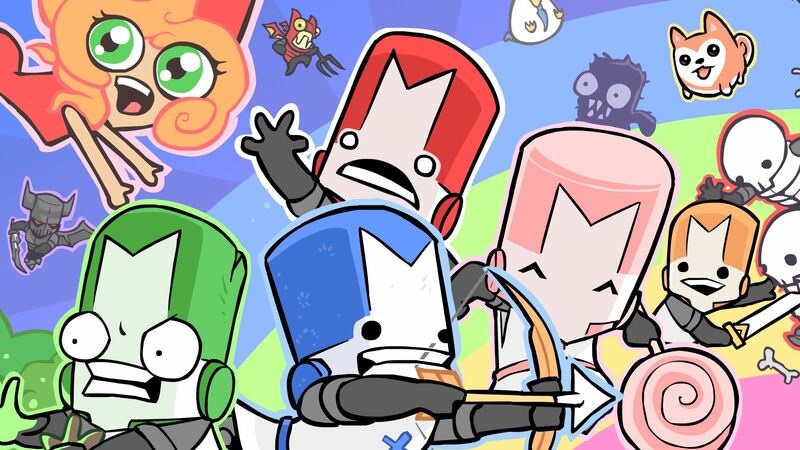 Castle Crashers Remastered is coming to the Nintendo Switch and PlayStation 4 later this year. Thanks to a new video shared on the official YouTube channel of developer The Behemoth, we now know that their 4-player beat-em up is going to make its way onto the Switch and PS4 this coming summer. If you haven’t followed the Castle Crashers series at all, the game originally released way back in 2008 and featured an addicting 4-player campaign that drew players in. Fast forward a few years to 2015, and The Behemoth released Castle Crashers Remastered for the Xbox One, bringing the game higher quality textures, better performance, and an uncapped frame rate that allows for smoother gameplay all around. On top of this, the remastered version of the game also included a new mini-game for players to dive into called Back Off Barbarian. Now, to celebrate over 10 years of castle crashing, The Behemoth is bringing the 4-player beat-em up to the Nintendo Switch and PlayStation 4, complete with all the remastered goodies released on Xbox One. There’s no official release date just yet, but we do know they are shooting for a release sometime this summer. That means that Castle Crasher fans won’t have to wait that long to dive into the game on their Switch or PS4. Considering Castle Crashers original release and focus on Xbox Live Arcade, it’s definitely great to see it making the jump to the PlayStation 4. It’s also another great title that will make the jump to Nintendo Switch, several more of which were revealed during today’s Nindies Spring Showcase by Nintendo. 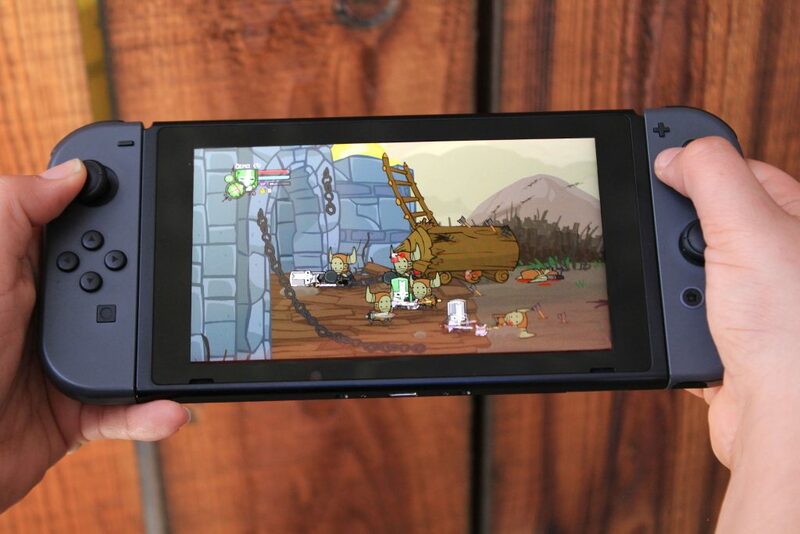 Castle Crashers running on the Nintendo Switch while in handheld mode. Photo courtesy of The Behemoth. While we still have a few months to wait for Castle Crashers Remastered to hit PS4 and Switch, players can follow The Behemoth on Twitter to keep up with the latest info about the game, as well as info about their other projects.